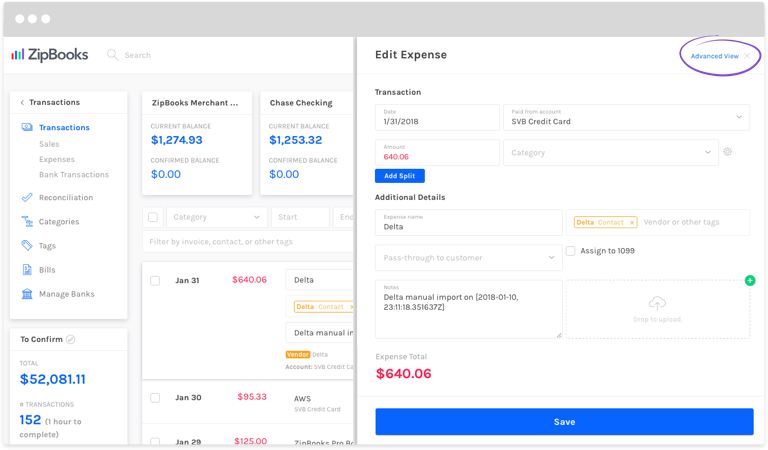 The double entry accounting system is based on debits and credits to categories in your chart of accounts. 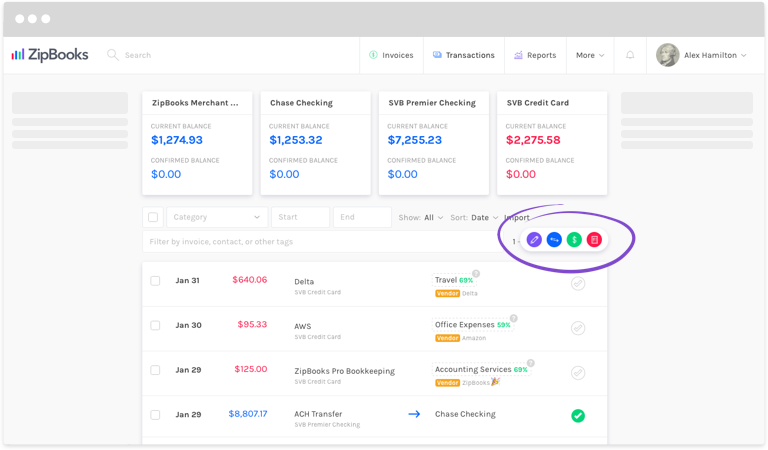 When you enter a transaction into your ZipBooks account, you generally don’t see the actual debits and credits. 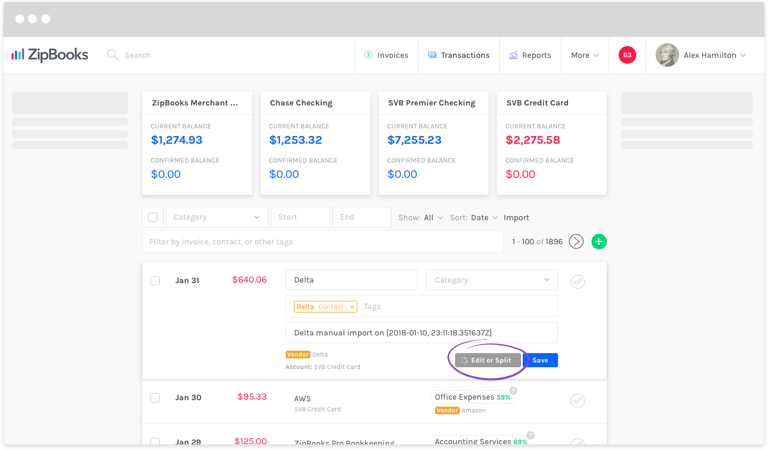 But the Advanced View in ZipBooks gives you the chance to specify exactly which accounts are debited and credited when you create a transaction. Pick a transaction from your list and click on it. Click the Edit or Split button. The Edit Expense window (or Deposit, or Transfer, depending on the type of transaction you choose) will appear. Click on Advanced View in the top right corner. Adjust the accounts and amounts to be debited and credited, as needed. Click the Add Split button if you need to debit or credit more than one account. Add any Tags, Notes, or Documents that apply. That’s it! To see if the transaction allocated the debits and credits where you wanted them to be, create a balance sheet, or run a trial balance. You can also create a new transaction right from the Advanced view. From your transactions list, click on the round green ‘+’ button. Choose the type of transaction you’d like to create (Expense, Deposit, Transfer or Custom) and click on the button.